Looking for professional Porsche maintenance and repair services near Matthews? 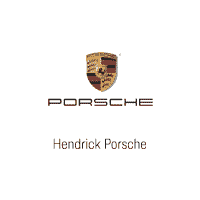 Stop by the service center at Hendrick Porsche. Our certified technicians have the expertise and attention-to-detail that you want when your Porsche 911, Macan, or Panamera is in need of service. Whether it’s a simple oil change, tire rotation, transmission filter replacement, or Porsche battery replacement, you can count on us to get the job done right. Check out our money-saving service coupons where you can often find the best oil change or tire rotation price in the Indian Trail area. Why wait? It’s easy to schedule an appointment with us online today! Reduce the Chance of a Breakdown: Even seemingly insignificant things such as a dirty air or transmission filter, corroded spark plugs, or worn-out tires can result in an unexpected breakdown on the roads in and around Indian Trail. Avoid Big Repair Bills: When you bring your Porsche in for routine maintenance, our technicians will be able to catch potential problems and take care of them before they require costly repair. Cost Effective: Worried about how much a tire rotation costs? It’s a lot less than the cost of replacing all four tires because they have worn down unevenly. Routine maintenance saves you money on the long run. Your Vehicle will Last Longer: A little TLC goes a long way, and by having regular service to have the oil changed, the belts and hoses inspected, and the transmission, brakes, and battery checked, you will keep your Porsche running smooth for years to come. If you have any questions, or are ready to schedule an appointment, please give our service center a call at (980) 224-4657.